I keep trying to change the delivery to one time vs automatically every 6 months, but it keeps reverting back. If I leave it where it defaulted (every 6 months) am I agreeing to that? There is no obligation if you choose auto delivery while you are placing your order. Once your order is up, you can always come and edit your date or even cancel it any time. 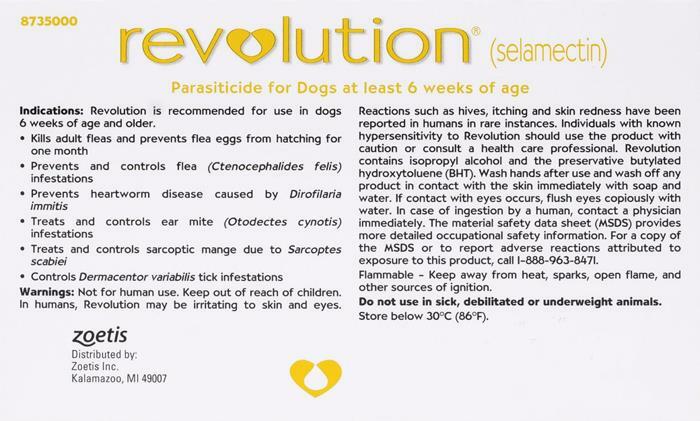 Hi, I usually buy Revolution Red for my dogs at my vet in Montreal. Can you garantee the quality is the same? Thanks! Hi there, Yes, the product we are selling is exactly the same geniune product. use this since 15years. safe and less smell.